Locality: Mexico, Sinaloa, NULL, 15-16 mi SE of Esquinapa. Verbatim Elevation: 200 - 400 ft. 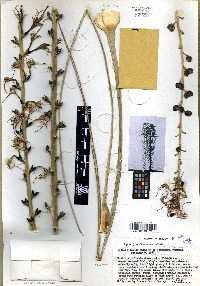 Occurrence Remarks: Photograph and plant specimen; Green, assymetrical, single rosettes surculose at maturity only; lvs. light green, filiferous, curving, rounded above and below; shaft slender, green to red flg. 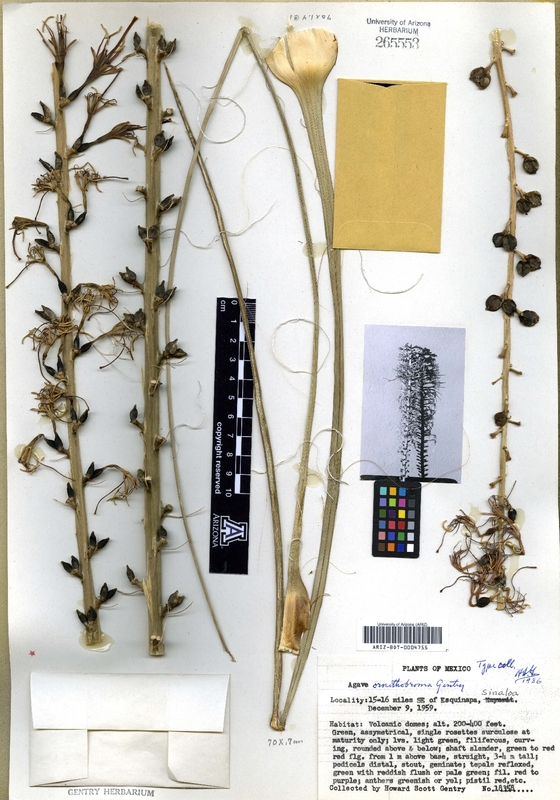 From 1 m above base, straight, 3-4 m tall; pedicels distal, stout, germinate; tepals reflexed, green with reddish flush or pale green; fil. red to pruple; anthers green ish or yellow; pistil red, etc.